Fences are used for many reasons. They are used to keep things out but, also to keep things in. Fences can be used to keep eyesores out of sight and help keep thieves from taking interest in your home. Installing a fence can keep precious children and pets in and safe from any danger that is lurking beyond the limit of the yard. Installing a fence can also be beneficial to the value of your home providing privacy, instant safety, and beautiful fences reflect higher resale value on a home. When installing a fence the first step is to determine how far apart the posts will be. The average fence has posts between six and eight feet apart. The corner posts must be dug first and run string around the posts to use for reference as the location for each post is marked. Each mark must be exact to achieve a stable fence. Before the posts are set into the ground a wood protectant will be used to prevent wood from rotting while in the ground. When the posts are placed, a post digger will be used to create the hole, a few scoops of gravel will be put into the hole and one-third of the post must be set into the ground to protect against weather and any heavy weight that may be placed on the fence. Then the dirt around each post must be compressed around the post. Make sure not to misalign the post while compressing. Then the top and bottom rails will be installed to the posts using a wood joint (joints very depending on the project). The joint secures the rails and keeps them aligned, then they will be measured to check the alignment. After the alignment is correct the boards will be installed and every 10 boards or so measured to assure all the boards are flush. There are ways to protect your fence. Even though they come with extra cost and labor; it will save you money in the future. First, before the fence is installed; you can have the wood pressure treated (or buy the wood already pressure treated). The second choice for pretreating wood is to chemical treat it. Both options will help prevent the wood from rotting or warping. Second, using a stain on your fence can highlight the beauty of the wood you chose and add to the life of the fence. A stain may need to be re applied throughout the life of the fence. There are also stains that are already combined with a sealant to save time. These are all wonderful options, will save you money in the future, and can give your fence a gorgeous look. There are also drawbacks to erecting a fence. Really any material you use will need maintenance in the form of washing or pressure washing, repair, painting, and staining. 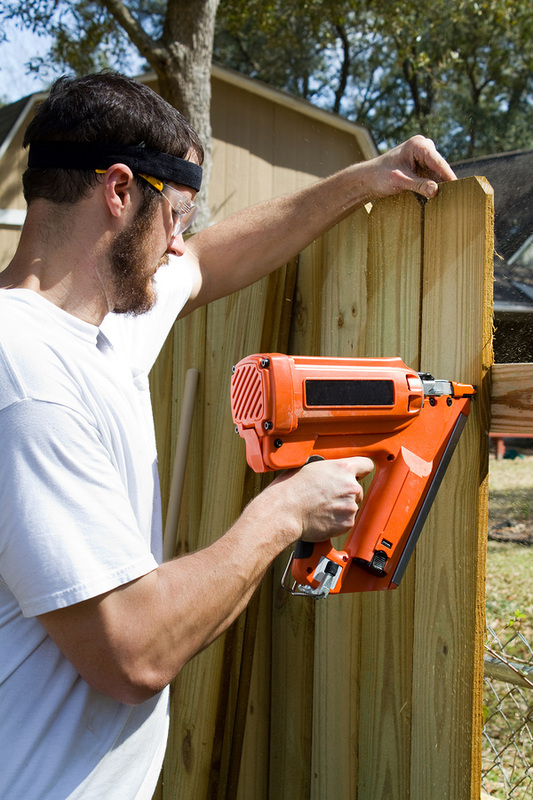 The cost of putting up a reliable fence assembled with well-made is always costly. But, putting up a fence with cheaply made materials will cause the fence to become a premature eye sore and be very costly long term. The maintenance practices are a must to keep the fence functional and safe. Please research the materials you would like to use to make your fence. Also, know all the maintenance included in that material both present and future accounting for the time it will take. Being sure that you will be able to maintenance the fence.